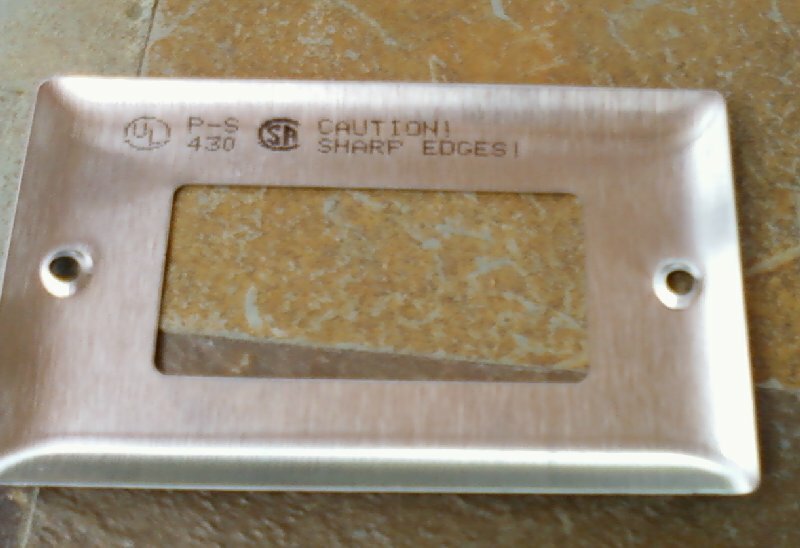 Printing is cheaper than polishing off the sharp edges. Is this another classic of a "CYA"?? ...like the Toyota I drove about in Dharan during GWI which had a notice on the wing-mirror to the effect that stuff seen in reflection was not its true size? I'd have preferred a warning notice on the dash that bozos with tea-towels clamped to their heads with bungee-cords were prone to take short cuts and drive toward you on the wrong side of the freeway at closing speeds of over 120mph....but that's just me. ...furthermore, Winnebago changed their user instructions after losing a lawsuit bought by a woman who set her cruise control to 55mph, then went in the back to make herself a sandwich! Everyone on that jury should have been lined up and run over by a Winnebago. That is as bad as the McDonalds verdict over the woman spilling hot coffee in her lap. I know many an EC who got cut on very sharp 1900 covers and utility covers, etc. I called UL about it once, and was told that I would have to send it in to UL so that they look at it. I never got an answer back. The 1900 covers and utility covers issue may have been a better complaint issue by sending it to the mfg. Probably Mullbery Metals here in NJ, if they were not 'imports'. When you have Pass Seymore printing "sharp edges" on their covers, it is clear they know about it and chose not to fix it. The US Chamber of Commerce sends me the dumbest lawsuit of the month Email every month.